In response to growing customer demand, Tigers has opened new facilities across Asia. 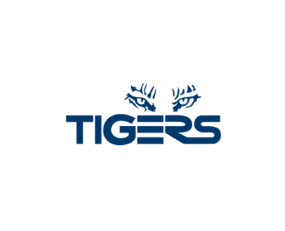 Tigers has relocated to a new facility, in a strategic decision to meet e-commerce demand, complete with two warehouses. The new facility is located close to Shanghai Yangshan Port and is fit with a dual warehouse model. This model enables Tigers to scale up operations, in response to B2B and B2C demand across domestic and international markets. “Our improved warehouse layout at the new facility has afforded us an increase of 34% in pallet spaces, equivalent to 4,000 pallets, and a floor space increase of 50%,” said Laura Crow, Managing Director, China, Tigers. Tigers has also opened a new office in Suzhou, China which is located 30 minutes from its new Shanghai facility. This adds to its new fulfilment centre in Selangor, Malaysia, as part of ongoing expansion plans to serve the region’s growing e-tail market. The new centre is Tiger’s second largest Malaysian operation. In the USA, Tigers has opened a new office and warehouse complex in Riverside, California, to provide omni-channel fulfilment to high-end footwear, apparel, and outdoor and active lifestyle customers across North America.